2) Put a thin layer of icing on top and place the donut. 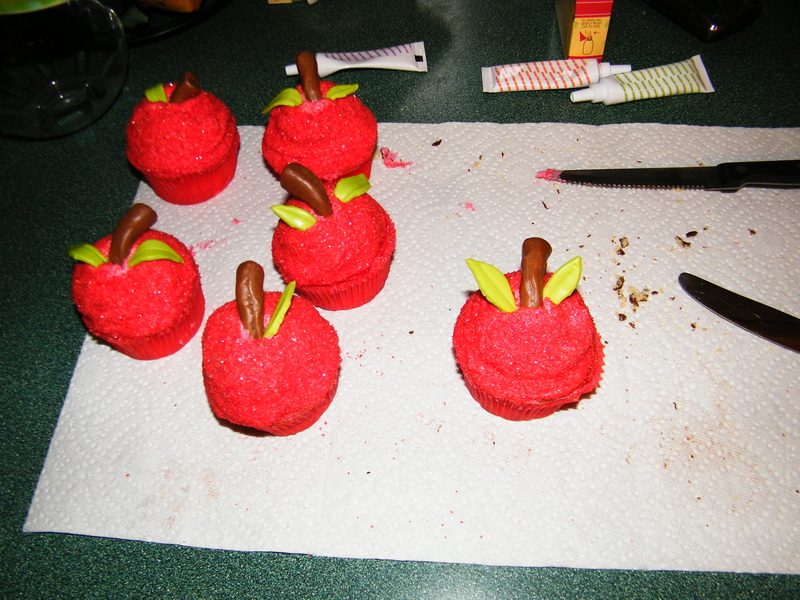 3) Add red food coloring to icing. 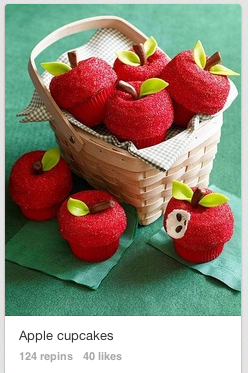 Ice the cupcake smooth and give it a nice rounded apple shape. 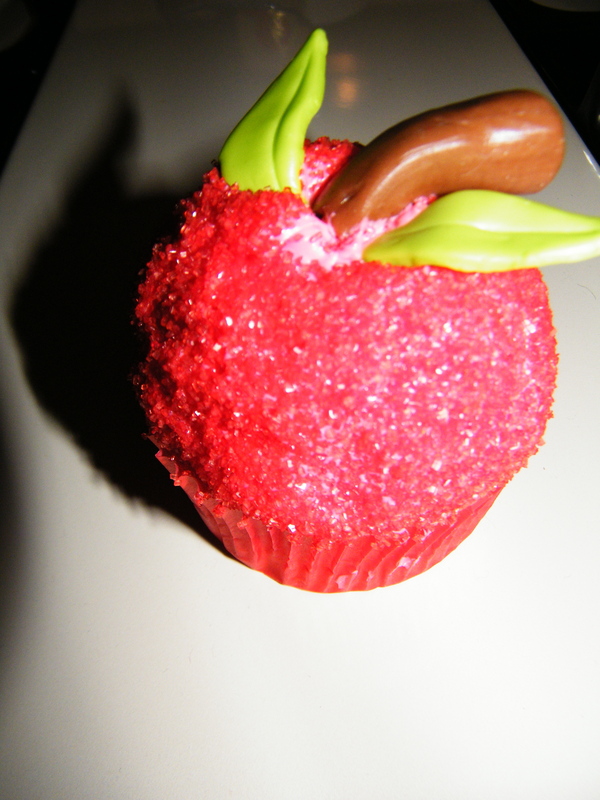 4) Pour the red sugar sprinkles in a bowl and carefully roll the top of the cupcake in it. Don’t apply too much pressure. 5) Cut Tootsie Rolls diagonally at one of the corners. Then roll that end in your hands to get it smooth. 6) Microwave soft candies to soften them enough that you can roll it out. Once rolled out, cut out leaf shapes and using a knife, make a indent that looks like a leaf crease. 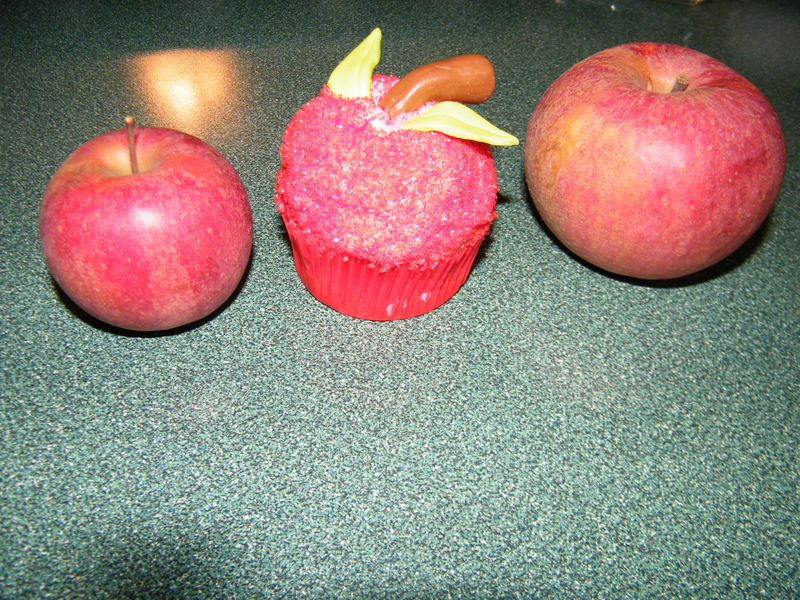 7) Place Tootsie Roll in center of the cupcakes with leaves on the side of the Tootsie Roll.